Siding: Siding is a key element in the aesthetic beauty of your home and can directly influence its property value. It is also meant to shed water and protect your home from the effects of weather. 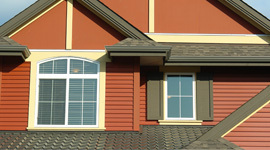 There are many varieties of siding, each with their own look and method of installation. 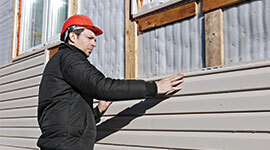 In order for siding to maintain its look and properly protect your home, it has to be installed correctly. Our experience and expertise will ensure that everything is done properly and that your home looks as beautiful as ever. 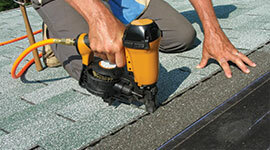 Roofing: With the unpredictable weather in Calgary, this is often the area of of your home that gets hit the hardest. Whether you have an insurance claim, are building an addition, or just want to remodel, Urban Siding can get the job done right and on time. Our experience and long lasting relationships with multiple suppliers enables us to install nearly any roofing system, giving you the freedom to choose your preference in materials, colors, and design. Soffits and Fascia: When people consider roof repair, they rarely think of the importance of soffits and fascia. Soffits bridge the gap between your siding and your roof line, and fascia cover the vertical edge of your roof. Together they provide a visual appeal and an overall completed look to your home. 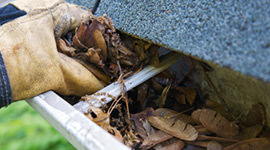 Eavestroughs: More commonly known as “rain gutters,” eavestroughs protect your home by channeling water away from your foundation. These gutters prevent erosion, leaks, and water stains, and they can also be used as a means to collect rainwater for later use. Incorrect installation can cause water to get into small openings, causing wood rot and other damage. If the water is not properly directed, it can cause damage to your lawn. 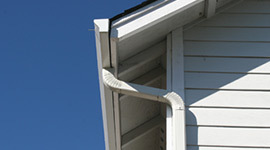 Our professionals will be sure to install your eavestroughs correctly, with proper downspouts. All of our work is guaranteed. Cladding: Cladding describes the process of covering one building material with another. This is done to control the infiltration of weather elements, as well as for aesthetic purposes. Not all homes have cladding and not all home designs require it. Urban Siding is proud to offer installation, service, and repair for any cladding material. Stone, wood, steel, and UPVC are just a few of the many options that we offer. Our attention to detail ensures that your new cladding will be stunning. 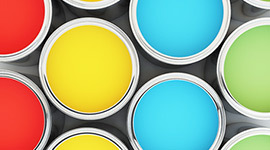 Painting: A great paint job can vitalize your home inside and out with complementary colors and unique themes. Don’t forget that paint is also meant to protect the material it covers. The main reasons that new paint fails are poor application and improper treatment of surfaces before painting. Common failures include contamination, peeling, blistering, chalking, cracking, and erosion. All of this can be avoided with proper care and attention, which you can be sure that Urban Siding will provide.